Eneclann and Ancestor Network make it a hat trick. 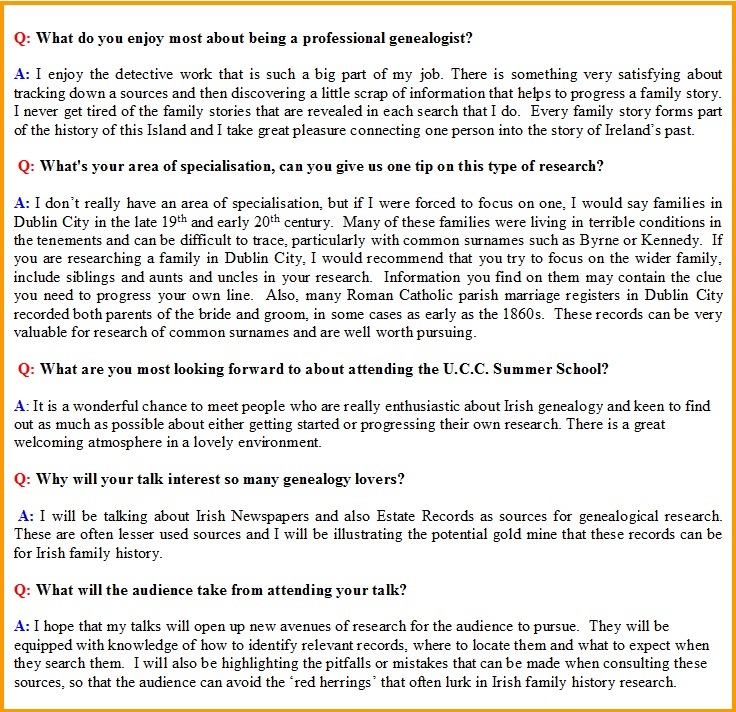 UCC Genealogy Q&A with Nicola Morris. Expert workshop with Noel Jenkins. Research Tip of the week with Carmel Gilbride. 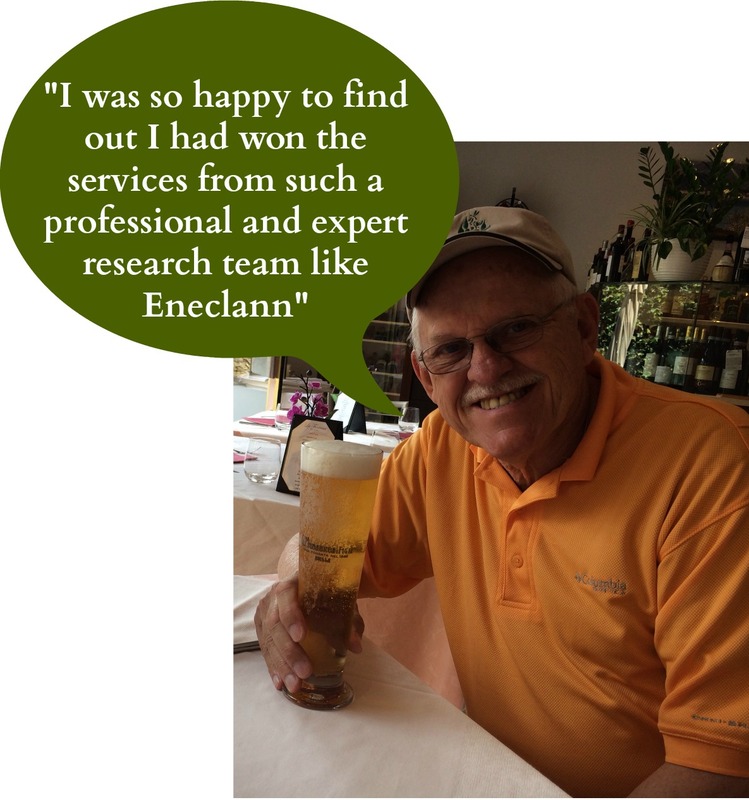 Eneclann and Ancestor Network make it a hat trick! The joint consortium ofEneclann andAncestor Network are delighted to announce that they will return to theNational Library of Ireland this summer following a competitive tendering process. “We are delighted to be part of this wonderful role for a third year running. It’s a privilege for us to assist visitors to the Library and to help them trace their family history. Last month’s winner of“Ireland of the Welcomes” Magazine competition prize, afamily history research andpublicationspackage worth over €1000 provided byEneclann, was a Mr John Egan from the city of Humble in Texas. We caught up with John to ask him how he felt about winning this research prize with us, his response was one of great excitement and we are delighted to have such a worthy winner. How did you feel when you found out you had won the competition from the Ireland of the welcomes magazine? “I was very happy to find out I had won the services of such a professional team like Eneclann. One of my cousins has done some research and developed a family tree starting back with the birth of Michael Egan, born 1824 in Marystown so I know there must be so much more to find out. Nicola Morris and UCC Genealogy School. All aspects of subjects are covered by a series of presentations and ‘hands on’ workshops given by a selection of Ireland’s leading genealogical lecturers and experts. This week we caught up with Director of Timeline Research Ltd,Nicola Morris who will be giving two talks atThe UCC Genealogy School. Venue: The Religious Society of Friends (Quaker) Library and Archive in Stocking Lane, Rathfarnham. Since 2010 he has assisted visitors to the Quaker Archive with their research, and in 2012 and 2013 provided the genealogy advisory service in the National Library and National Archives of Ireland. The availability of the Will Calendars on the website of the National Archive canbe very useful to family researchers. It may be that you have searched online indexes for a death without success. It may seem obvious that the person you seek would have died in Ireland so why is their death not in the records of the General Register Office? of genealogy by keeping your search as wide as possible. Take the example of Sir Thomas Wyse, MP of Waterford. If you input Wyse, Thomas and put in the county, you will not have any success. However, if you input Wyse, Thomas, leaving the county blank, you will see that Sir Thomas Wyse, MP, late of the Manor of St John of Waterford, in fact died in Greece, while he was serving as a Minister in Her Majesty’s government. By narrowing down your search at an early stage, you risk losing the very record you seek. This entry was posted in Newsletters and tagged 1930'3 how to Trace your roots, advice, Ancestor Network, archive, Brian Donovan, competitions, email, Eneclann, expert workshops, Family History, findmypast, Fiona Fitzsimons, Genealogy, genealogyday2014, Ireland, Irish, Limerick, Limerick City Events, Lorna Moloney, news, newsletter, Noel Jenkins, online, publications, research, Research experts, research tip., subscribe, subscription, The Genealogy Event, The national library of Ireland, The Strand Hotel Limerick, UCC.